This study explores the relationship between the life satisfaction of older adults and the social support from grandchildren in Hong Kong. Two hundred and fifteen older people (from the ages of 64 to 101, mean age 79.3), whose youngest grandchild was aged 12 or older, were recruited from elderly service agencies to participate in the study. Face-to-face interviews were conducted by trained interviewers using a standardized questionnaire, which included the Life Satisfaction Scale for Chinese, the Lubben Social Network Scale, the Chinese Tradition Scale, grandchildren social support measures, self-rated health, self-rated financial adequacy, and demographic variables. 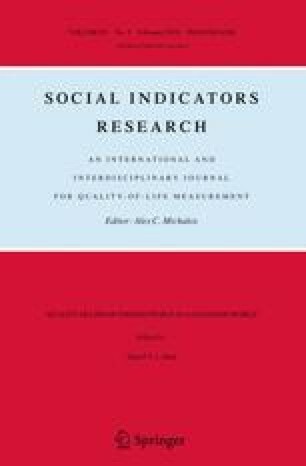 Hierarchical regression showed that the life satisfaction of older adults benefitted significantly from the social support from grandchildren (R 2 change = .05, F change = 7.15, p < .001); while controlling demographic characteristics, general social support, attitude towards Chinese tradition, self-rated health, and self-rated financial adequacy. The total explained variance was 51%. Emotional support and appraisal support from grandchildren were identified as significant contributing factors. The policy and practice implications for active aging policies are discussed in a Chinese context. This research project is supported by a Direct Grant of The Chinese University of Hong Kong. Ref. No. 2020824.